The fruit fly Drosophila melanogaster offers a host of advantages for studying the biology of aging: a well-understood biology, a wide range of genetic reagents, well-defined dietary requirements, and a relatively short life span, with a median of ~80 days and maximum ~100 days. Several phenotypes can be used to assess the aging process, but the simplest and most widely used metric is length of life. 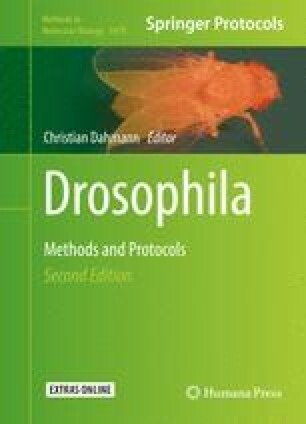 Here we describe a standard life span assay for Drosophila housed on a simple sugar/yeast diet.